Forgotten Causes hopes to raise awareness. 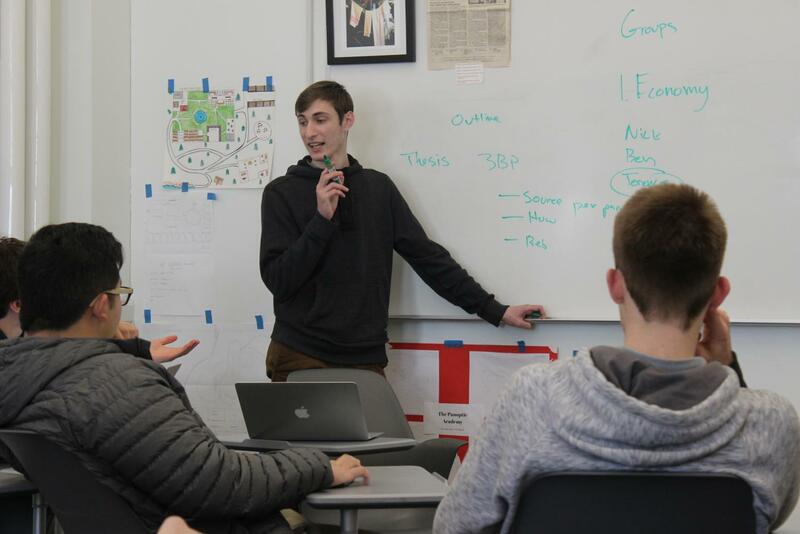 Jason Arzhintar ’19 teaches during the Theory of Knowledge class. Arzhintar and his classmates have started a club to bring attention to events that have fallen out of the news cycle or not received wide media attention. Three juniors have created a club to address and bring awareness to forgotten or ignored issues that are important. “We make projects and we have a website that coordinates different ways to be aware of causes that don’t make the media and don’t make the headlines,” Jason Arzhintar ’19 said. Arzhintar, Lucas Horwitz, and Joshua Widjanarko created Forgotten Causes when they realized more awareness needed to be brought to events that weren’t publicized by the news for very long. “The media will spend maybe one or two weeks on a hurricane, and then nobody remembers it two weeks later, so it’s putting the spotlight back on those types of disasters or shootings or events,” Widjanarko said. The club is currently working on a project to raise awareness of the Venezuelan economic crisis that began in 2012 and devastated their economy. Club members advise students to have a wider worldview and not focus only on their own lives. Forgotten Causes recently interviewed a Venezuelan immigrant about the crisis, then discussed what they learned at their Tuesday meetings. The experience was eye-opening for the interviewers. The club’s website details factors contributing to the crisis. The club plans to next publicize what students can do to help the people in Puerto Rico. “We’re talking about the hurricanes, specifically the hurricane in Puerto Rico,” Widjanarko said. Currently, the club has nine members who are all juniors, but they invite everyone to join. “Anyone who wants to come join us is more than welcome,” Arzhintar said.